Anyone who reads my blog knows I rarely, if ever post negative reviews. I prefer to use my blog to spread positivity, Its just how I like to do things. However, I actually can not get over how disappointed I am with a few of my recent Lime Crime purchases. I hear you, I hear you! I know that Lime Crime has been dogged by drama and controversy in recent years, but I ignored all that and a few years ago, I decided to give Lime Crime a whirl. The absolutely delicious Red Velvet from Lime Crimes much loved Velvetines collection. A few weeks ago, I decided to repurchase Red Velvet as my original had just ran out. When I was on the website a few others caught my eye and I decided to buy in bulk. Being 100% honest, I am really, really disappointed. 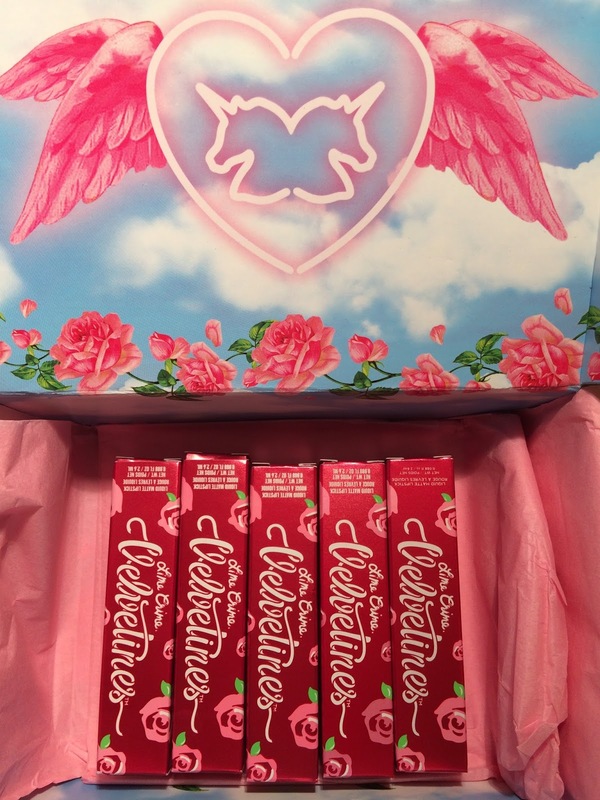 Lime Crime Velvetines cost €18.13 a pop so you would be hoping to get your €'s worth. The Red Velvet I repurchased looks entirely different to the original. I wish I hadn't thrown my first out as I could show you exactly what I mean, This shade is nowhere as rich and velvety as the original. In my opinion this is a fairly watered down red in comparison. Don't get me wrong, It wears well and still looks nice, but its just NOT the same. I guess they may have reformulated it. 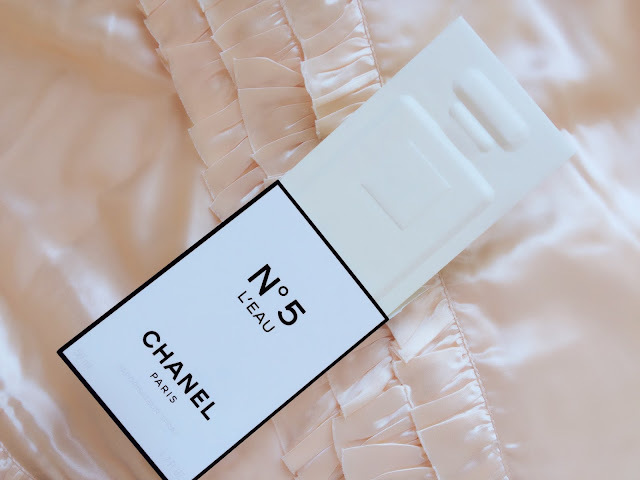 When I was purchasing it online, I just had to have it- It looked absolutely GORGEOUS and I read a few positive reviews saying the same. However on me, it looks a bit bland and not as striking. Even after first time application it looks like it has been on the whole day, no vibrancy. I've layered it up for these pictures and it still looks rather lacklustre. 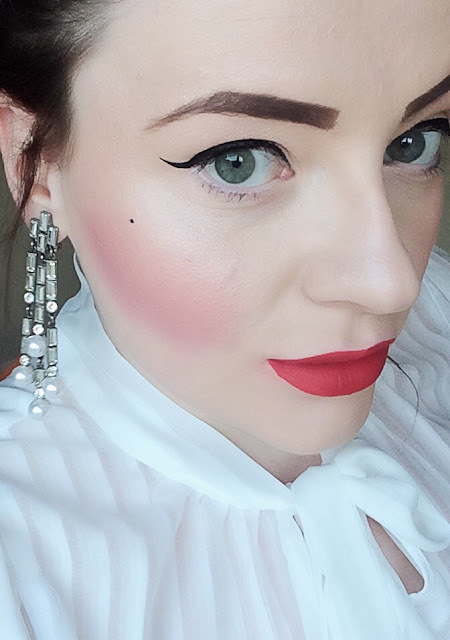 On the Lime Crime website it is described as an 'earthy red hue' but I don't know how to describe it- other than 'just not what I wanted'. Full disclosure, I know the picture quality on my blog isn't wonderful ATM as I am using my rather old iPhone, still searching through boxes for my camera and blogging bits. With a name like that how could I not like it?. 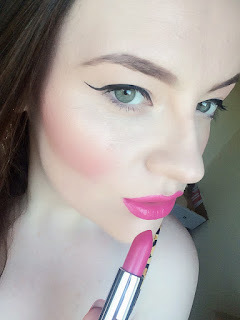 Like all of Lime Crime Velvetines, you can layer this colour up a little for a more intense pink. For a day time look, I decided less is more so this is the result of only one application. True Love is described as having a beautiful Pinky Red hue, and it lives up to it. It really colours your lips like a pretty rose bud. I really like it, Its more subtle than most of my usual lipstick shades, Its a lovely change. When I added this to my basket, I wasn't sure I would actually like it, at all. Mainly because I didn't think I would be able to pull it off. It is a Deep blood red hue, And it is absolutely gorgeous. I would usually never touch this shade with a bargepole but I am glad I tried it, it is beautiful. At the minute I am very lazy when it comes to make-up, I cant recall the last time I actually applied eyeshadow! I wear my usual black liner and rely heavily on lipstick to pull the look together. Wicked is my absolute favourite of all the Velvetines, still does not replace my original Red Velvet, I am sure I will get over it, at some point. Blondie is absolutely deadly, pictures do not do this lipstick any justice. It is so unlike me, which is why I love it! When I first put this on, all I could think about was my childhood love for Jem and the Holograms. I now have a serious want for Pale Pink hair and a sudden need for gigantic pink star earrings. A few months ago I was reading about all the Jeffree Star drama, Make-up sweetheart Kat Von D called JS out on Instagram, she then released a youtube video giving her reasons why she was disassociating herself from JS. I've never liked Jeffree Star, I was a little stunned to hear he had a make up range and it was doing so well, I remembered him from his Myspace days- While Jeffree looks deadly I always found everything about JS and the ever-growing brand to be abrasive and extremely rude and a little creepy. 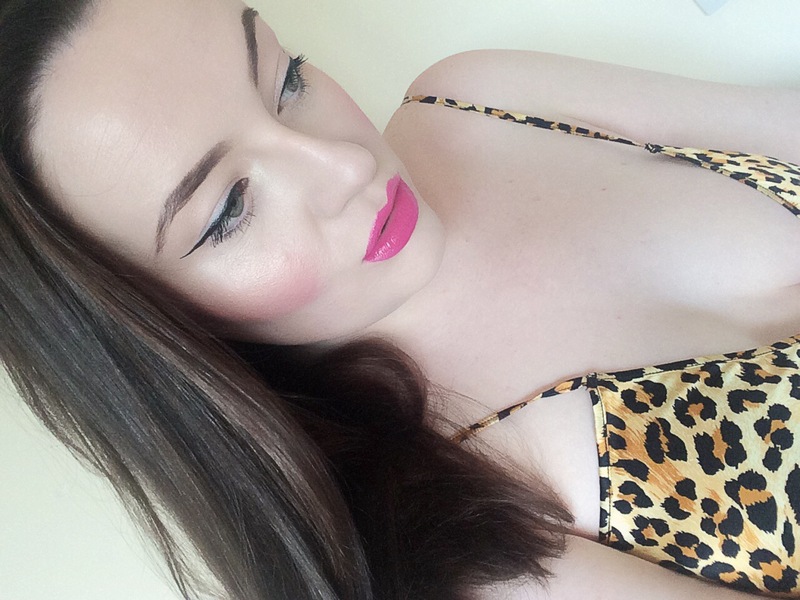 Sera also shared her personal views on Lime Crime and why she will never buy from them. Sera includes a pretty hefty link filled with all the shady Lime Crime facts. Not so sweet! 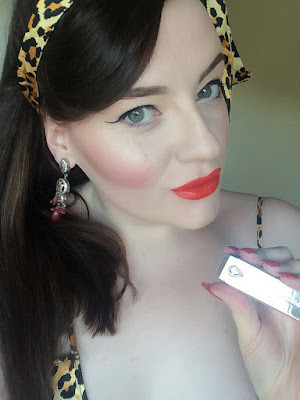 While I didn't listen at the time, after chatting to a few people about Lime Crime and my disappointment with my purchases, I have to say, I don't think I will be rushing out to buy from Lime Crime any time soon. Have you had a good or bad Lime Crime experience? Let me know!!! If it wasn't for my dear friend Lily, I would not be writing this blog post so HUGE thanks to Lily for making this possible. Lily kindly sent me over a Bloodwine kit after I missed out when the Pat McGrath website went into meltdown on the day of release. I first saw the beautiful images of Bella Hadid & company walking down the catwalk of the Atelier Versace run way in Paris on Twitter, my glamour loving eyes lit up. 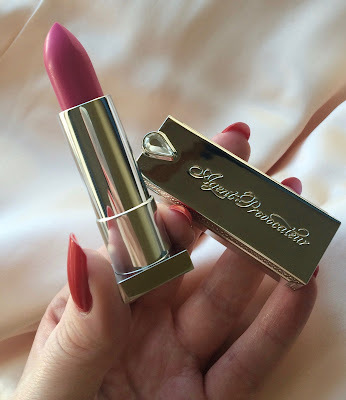 After a little research I heard the glitter lips were the creation of the amazing Pat McGrath, I had to get my paws on Lust Kit 004 and I am so glad I did. Absolutely everything about this kit makes me giddy. Can we just appreciate the sequins for one second?. Pat McGrath has been named THE most influential make up artist in the world and its not hard to see why- her make up looks are mind blowing. This Lust 004 kit in Bloodwine kit contains two lipsticks, one vinyl lip gloss, one pot of blood glitter and one pot of gold pigment. I am going to blog about the metallic gold pigment and the clear vinyl gloss tomorrow because it is just AMAZING and deserves a post of its own. I absolutely get that a glitter lip is not everyones cup of tea, I would wear one every day if i could get away with it! So if you hate the idea of glitter lips, I can assure you the lipsticks on their own are absolutely gorgeous and superior to most in their quality and wearability. In the above picture I am wearing Blood 1 Lipstick. The Blood microfine glitter is a pleasure to use. 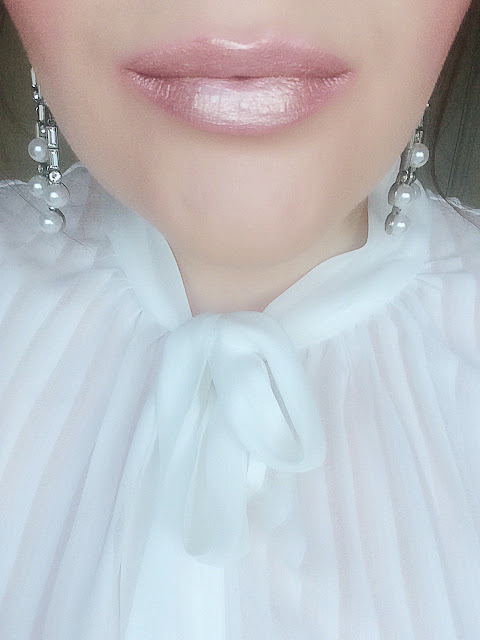 I have created my own version of a glitter lips in the past, using Barry M glitter (which is pretty good but rather coarse) and also with M.A.C glitter, which is a step up from Barry M but nothing can top Pat McGrath's Blood microfine glitter. I pressed the glitter over Blood 1 but I didn't add the gloss for a matte look. 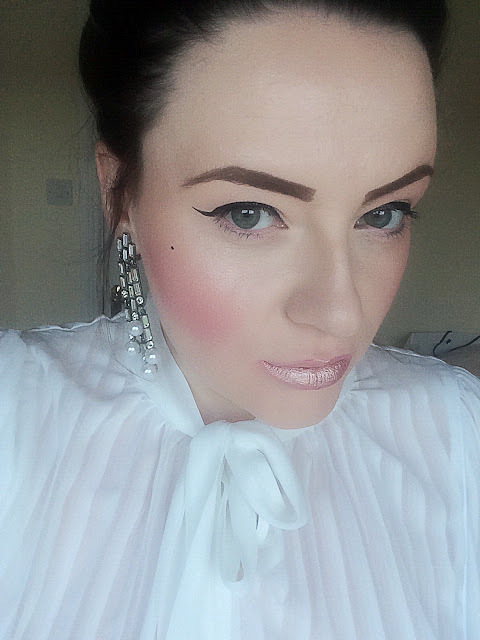 Now I am no runway model but putting on a glitter lip and blogging about it made me feel absolutely deadly. money can't buy that kind of lovely feeling. This is the Blood glitter worn over Blood 2 which is my absolute favourite. I am usually not too much of a dark lip fan. The glitter gives it a whole new life of its own. The below picture is of Blood 2 lipsticks sans glitter. 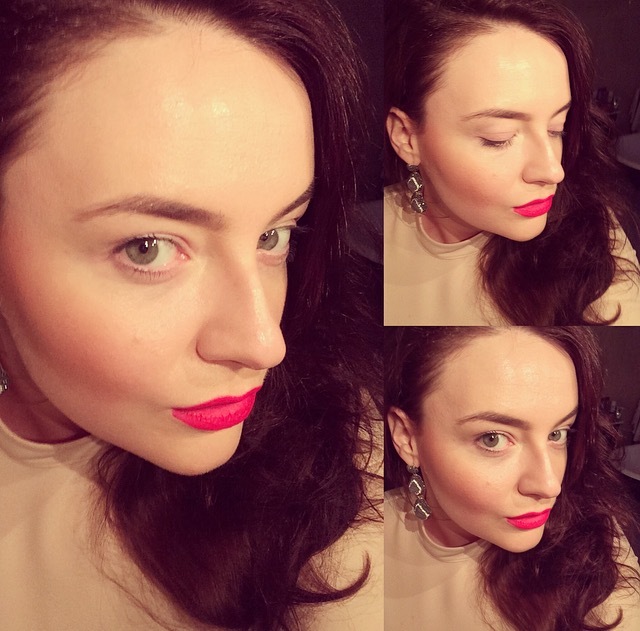 A brilliant dark plummy lip colour. Still intensely vampish and gorgeous but I have to say, the glitter wins for me. These kits are like gold dust and so hard to get, I think Bloodwine is sold out. If you have read my blog before, you will know I am hopelessly in love with all things Agent Provocateur. 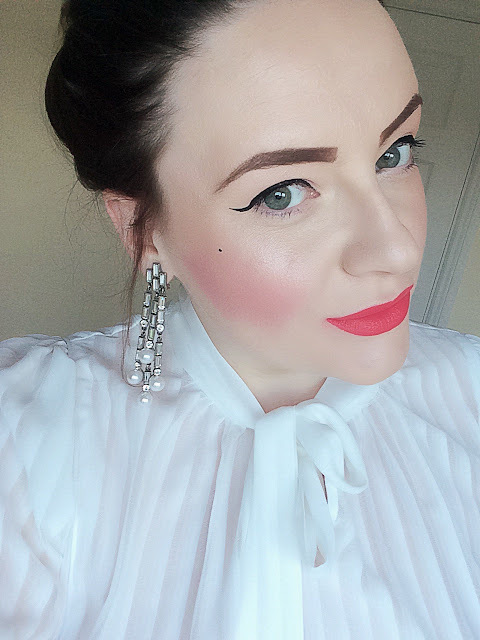 MAC Ruby Woo lipstick, MAC Cork and Shroom eye shadows, Hold ups from Agent Provocateur (always wanting more) and ridiculously high heels. I mean it took me five years to purchase the matching briefs but that is not the point! To this day I still look at that set of lingerie and it brings me so much joy. 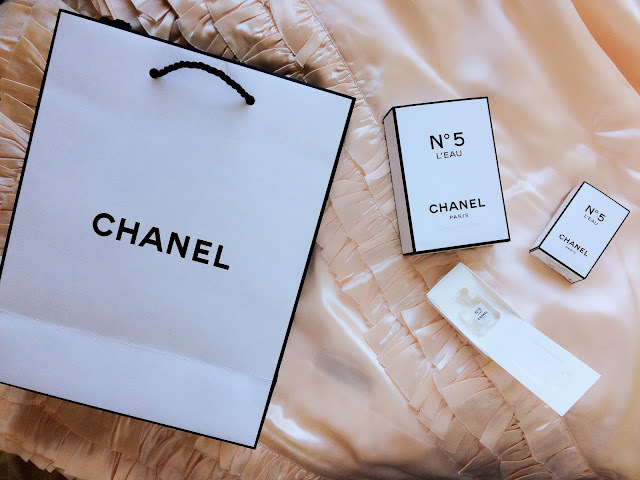 I am giving you this little AP back story because if it isn't obvious by now, for as long as I can recall, I have been absolutely in love with all things Glamorous. Its what makes me, me. 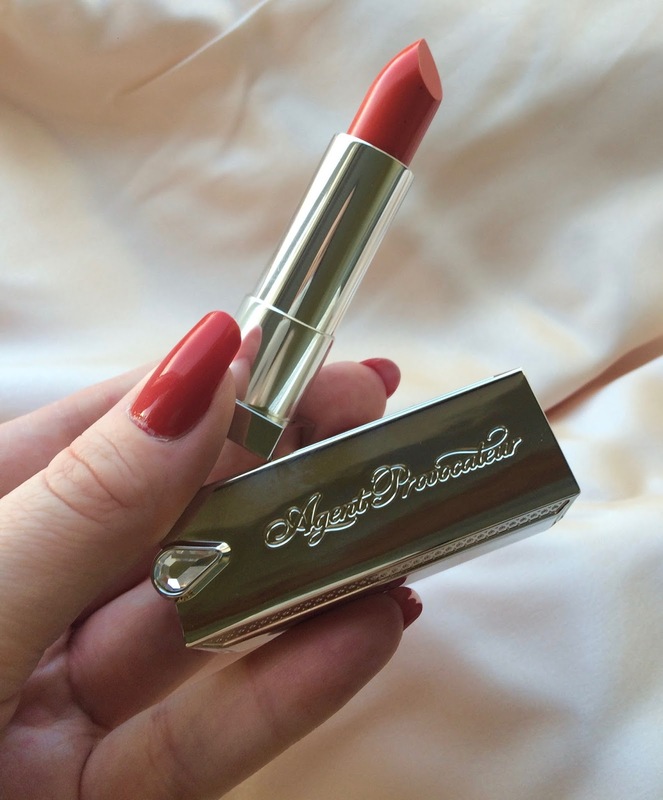 When I heard AP were bringing out a line of lipsticks, I just knew I had to try. I was a little hesitant as I didn't want one of my favourite brands to disappoint me. I am a lipstick snob. 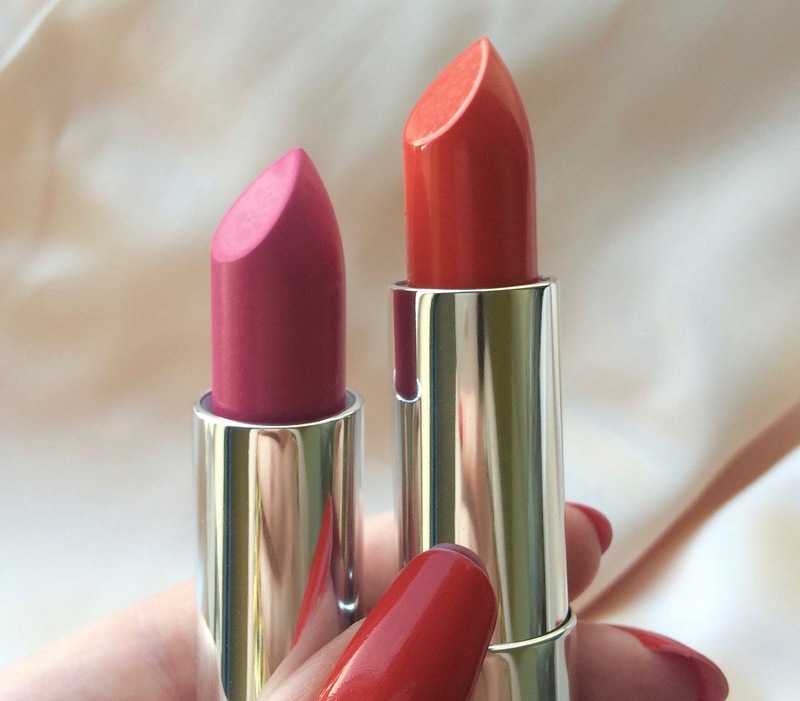 These lipsticks are not cheap, they will set you back €40 a pop. But for that €40 you get the most divine, Swarovski crystal encrusted mirrored metal AP engraved bullet. A truly beautiful product. However, looking pretty doesn't really mean much if the lipsticks do not wear well. I would not post this review if I didn't think like minded readers would get value for their money so despite my AP love, If I wasn't impressed, I wouldn't be recommending these lipsticks to anyone. an absolutely gorgeous popping pink, it lives up to its name, its just lovely. Since purchasing I have been wearing them regularly and testing out how pigmented they really are? do they bleed? do they flake and dry my lips out? 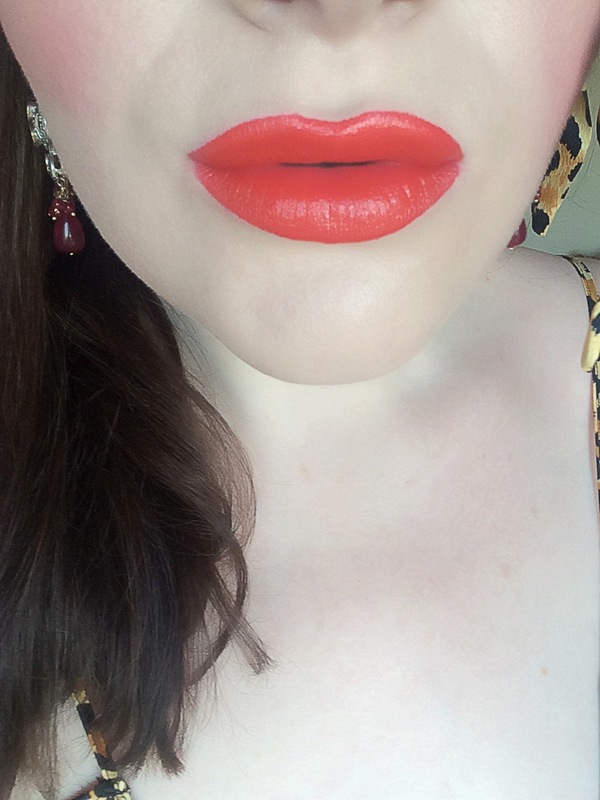 I am so happy to report back that these lipsticks do not disappoint. AP describe these lipsticks as being ‘Demi-shine’ and that they are. They are very highly pigmented also, which I love. I noticed my lips looking lustrous and very well hydrated. I personally prefer matte lips but the amount of compliments I have received, uncountable. 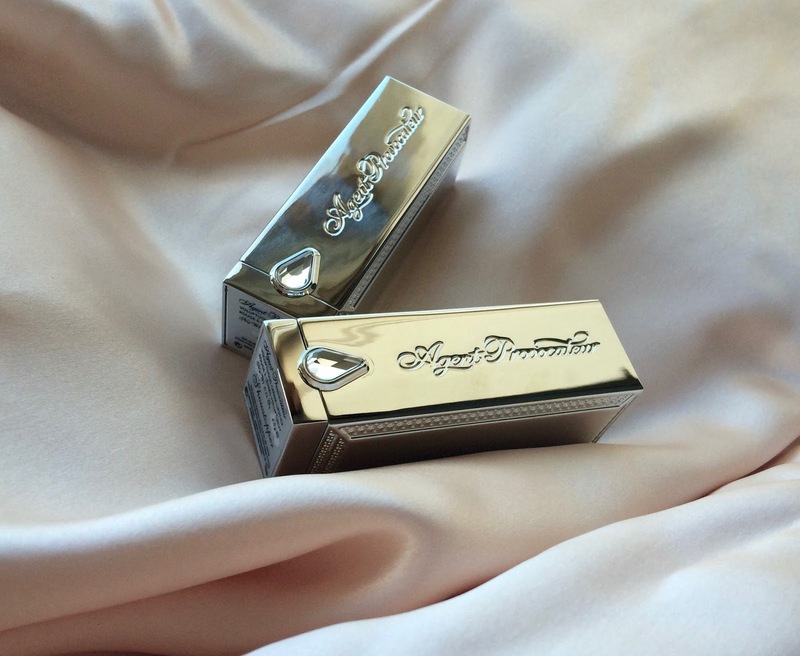 The lipsticks are formulated using luxurious cupuacu butter and it does a fantastic job keeping lips hydrated and plump. 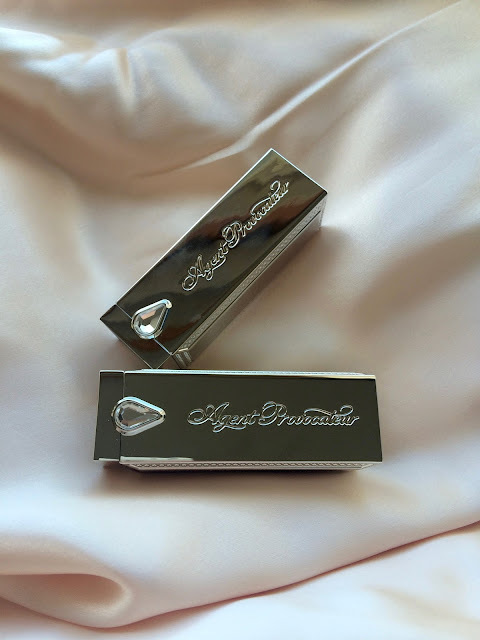 I personally really like the colours and I get a real kick out of applying my lipstick with the extremely handy luxurious mirrored bullet. I am a sucker for a good gimmick! If you are lucky enough to have a boutique nearby, pop in and try for yourself. 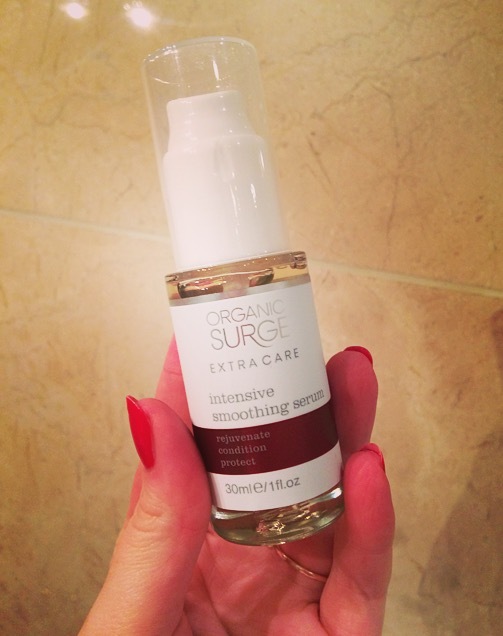 A few weeks ago, I was invited along to the launch party of Organic Surge. I was given a gift bag filled with goodies to try out and see what I think. 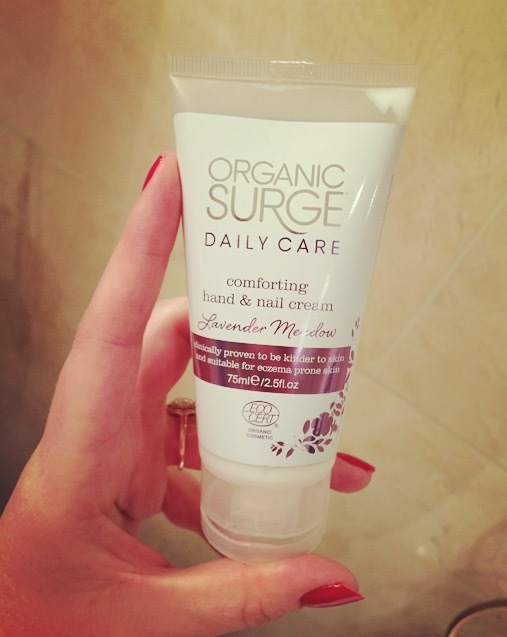 I have been loving the products so I thought I would share my thoughts with you and give you all the good news about Organic Surge. so when I heard Organic Surge steer clear of all parabens, artificial perfumes and colorants it was enough to sell me on their products. I really dislike finding a product I love only for perfume to destroy it all and make my eyes water. All Organic Surge products are Ecocert certified and contain a minimum of 96% naturally derived ingredients. Whats not to like?. 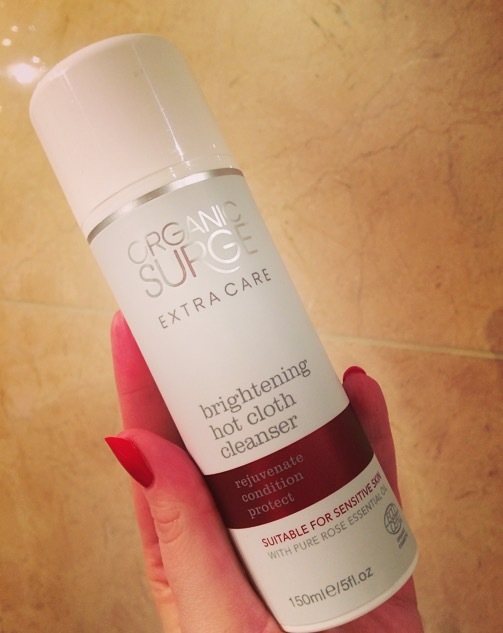 We all want glowing skin but we don't want to break the bank to achieve it- this is where Organic Surge excels, the products are so affordable for what they are. The serum may seem pricey but you need so little, I foresee it lasting a very long time. The face wash has 100% organic lather which is just divine, have you ever picked a daffodil and felt that sappy, slimy texture that exudes from the stem? The face wash's texture reminds me of…now that I see that in writing it absolutely sounds repugnant but I can tell you without any hesitation it feels AMAZING on your skin. 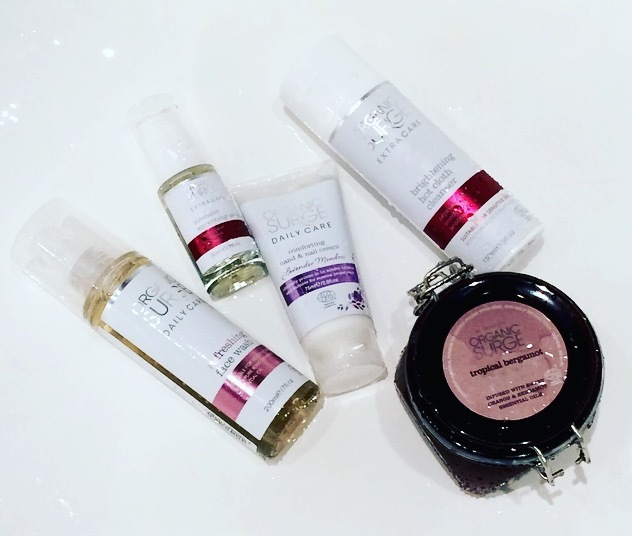 The essential oils help to restore skin’s natural balance & clears your complexion. It is also enriched with organic Rose Geranium Leaf Essential Oil and Aloe Vera to soothe skin irritation and redness. without a shadow of a doubt this is my favourite product. I apply a small amount onto my skin. I take my time and massage it into my skin as the massaging action stimulates blood flow helping to achieve that sought after glow. The cleanser is enriched with damask rose oil to which also stimulates and hydrate skin cells. 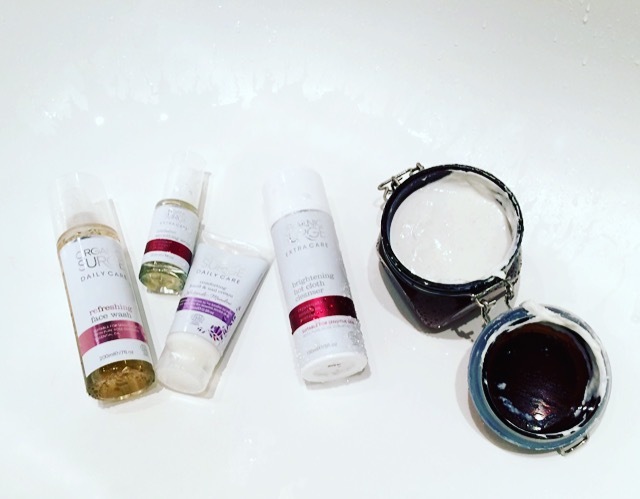 Once you have rinsed your skin with a warm water and a cloth, your skin is left feeling moisturised thanks to the shea butter and rejuvenated thanks to the orange peel- this stuff is seriously sumptuous. 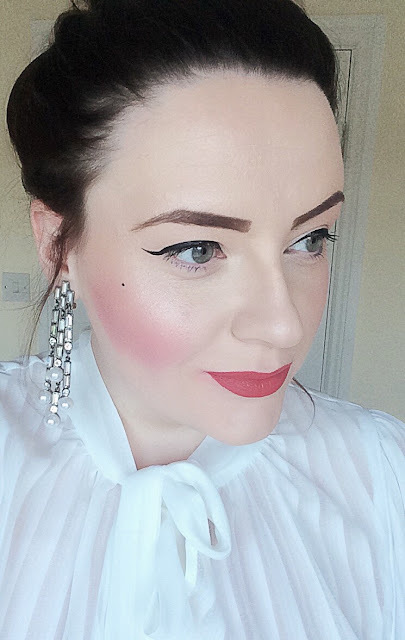 The smoothing serum soaks is a dream, it melts into my skin. There is no oily residue or heavy feeling on the skin, once it is applied it just seems to sooth and smoothen my skin. This serum has been nriched with Madagascan Para Cress extract, chosen because of its known effectiveness at improving the appearance of wrinkles. 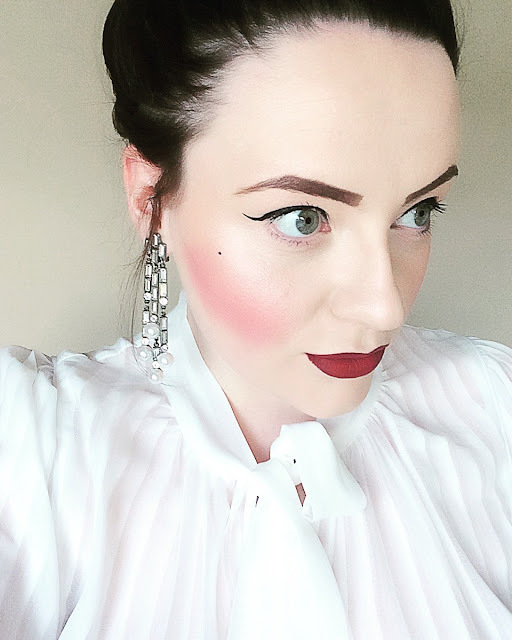 I often avoid wearing serums as I find they mess up my foundation, I am happy to report I have had absolutely no problem with my foundation, no weird balling or foundation separation! Now, not only does the cream absorb fast, it doesn't leave that yuck greasy residue on your hands. It is clinically proven to be suitable for sensitive and eczema prone skin and also packed full of skin loving ingredients such as vitamin E, shea butter to name but a few. You never realise how important it is for your hands to look well at all times, until you get engaged. Thankfully I have this hand cream in my bag AT ALL TIMES to insure my hands are in tip-top-ring admiring-condition no matter what! I am being entirely honest, I used this once of my legs and have decided to SAVE THIS GORGEOUS STUFF FOR THE SUMMER. It is DIVINE. 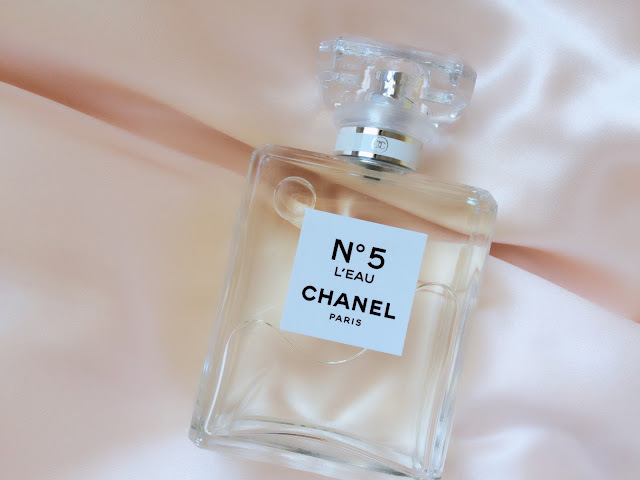 Mind you, I am a scrub fanatic so I was always going to adore this, but what makes me love this even more is the divine scent and the knowledge, like ALL of their products, no animals have suffered so we can look good. 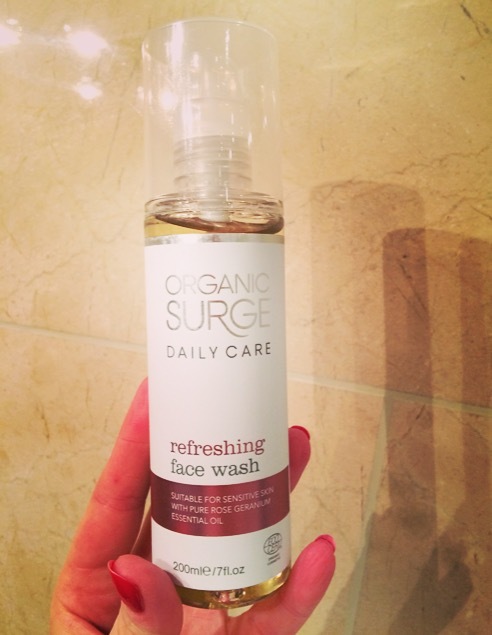 Dublin, Cork, Kildare and Louth- to try some Organic Surge? There is something so lovely about bed time. I feel like I am reverting into a child, I cant wait for darkness to fall so I can wash off my make up and pop on some lovely pyjamas to settle down for the night. As you know from previous blog posts, I adore glamorous lounge wear, but I am also a sucker for anything cute and comfortable. These ASOS 'Dreamy' Pyjamas are a personal favourite. I adore their pastel tone and Barbie-esque font emblazoned on the front in shocking pink. They're COVERED in love hearts and at the moment I am focusing on all the love in the world. 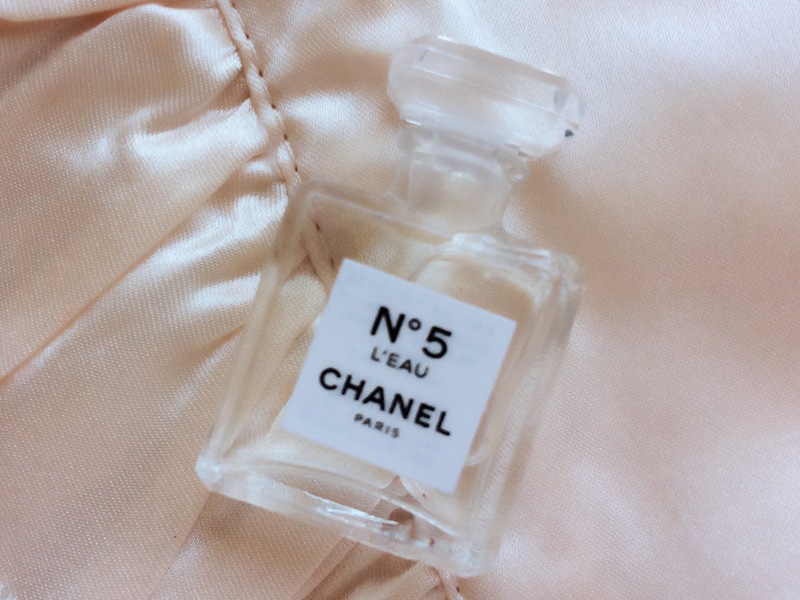 To set off my pyjamas, I like to spritz myself with perfume. I usually lean towards my long time love Si by Giorgio Armani but recently I have been wearing this delicious cologne by Jo Malone. 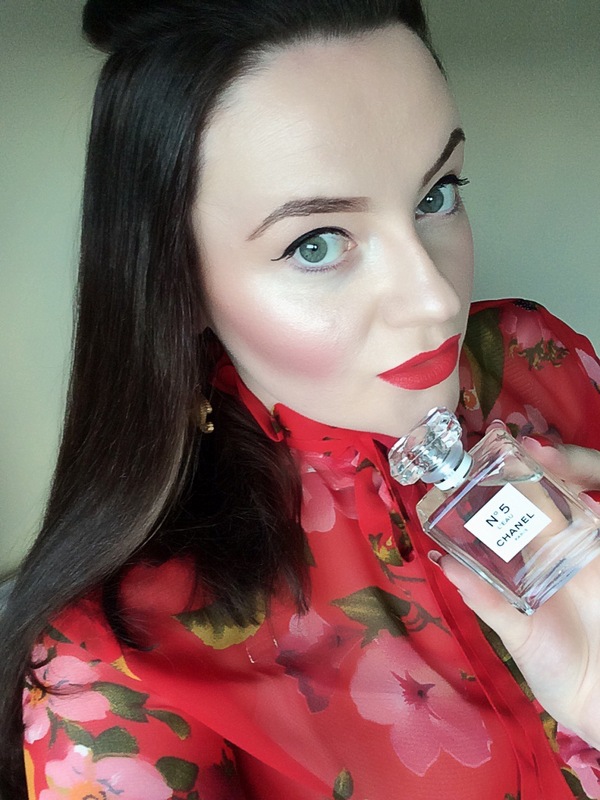 As a pre-Valentines day gift, my fiancé bought me a bottle of Peony & Blush Suede Cologne from Jo Malone. 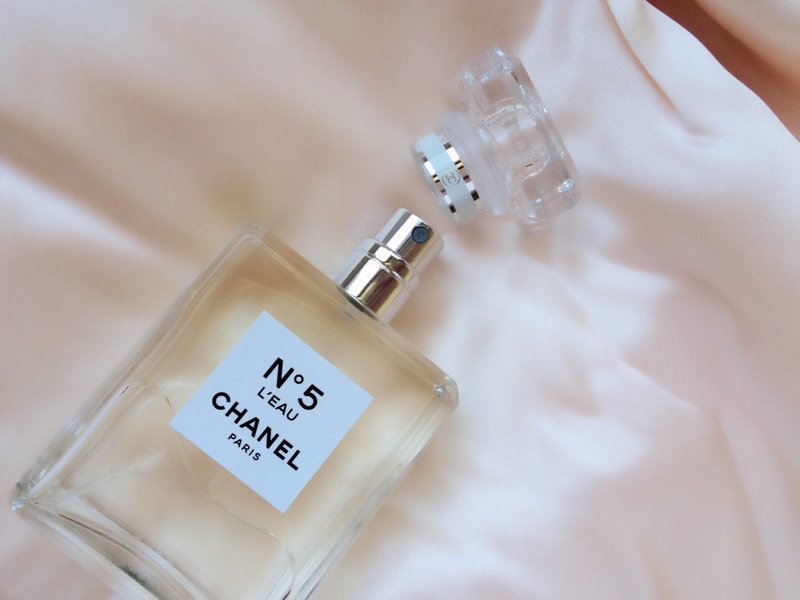 He is an absolute romantic, every time I smell this scent, I automatically think of him. I tend to do a lot of thinking at night. I think about future plans and mainly reflect on the day that has passed. If I feel as if I have done something that I could have executed better, I write it down and try improve. It is for this exact reason I keep a note book close to my bed. A few weeks ago my beautiful cousin Laura gave me a gift of this sweet and gorgeous Cath Kidston notebook. Just look at the pretty pages and the sweet floral detail. It fits in with my rooms aesthetic flawlessly. Thank you so much Laura, I adore my notebook it is such a thoughtful gift, quite a lovely idea for Mother's day! Now these don't 'STRICTLY' fit in with my night time regime, they sure as hell are not slippers but they fit in with my Oyster Pink Boudoir a treat. My Charlotte Olympia x Agent Provocateur Soiree Candice high heels. They are the shoes of my dreams, I could photograph them all day long. Pom Pom's, Blush colour, Sparkling crystals... They give me so much joy! I am not going to lie, I do not use these as bedroom slippers. These are from a previous Charlotte Olympia collaboration with Agent Provocateur. They sold out everywhere, I thought I missed my chance but thanks to the amazing invention that is eBay, I finally have my babies! And they were in PRISTINE condition, I doubt they were ever tried on! My Candice shoes are a pleasure to wear, look at and display! So that's it for now, Any night time routines you like to follow?